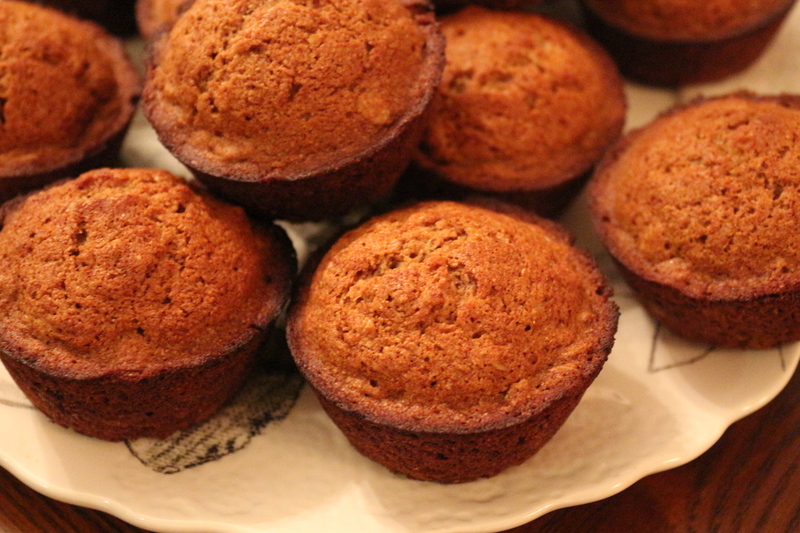 This muffin recipe is inspired by the Food & Wine website’s baked breakfast series. 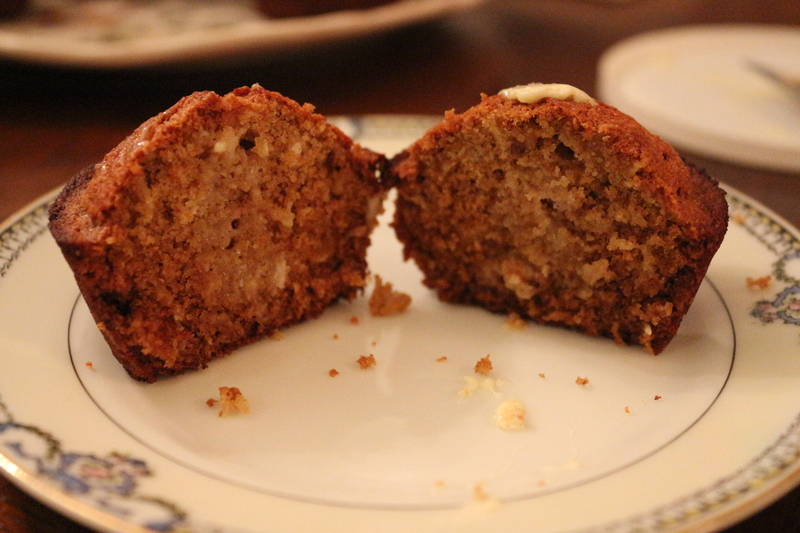 These muffins are great because they are low fat and really tasty. I plan to eat mine with some jam on top, or maybe a little extra honey. They are easy to make and are fully ready in about 30 minutes, including cooking time. 2. In a large bowl, mix together the dry ingredients – oats, whole wheat flour, all-purpose flour, baking powder, baking soda, spices, and nuts/dried fruit. 3. In a separate smaller bowl, beat together the buttermilk, eggs, and oil for about one minute. Then, vigorously whisk in the honey until the mixture is fully combined and there are no honey clumps. (Note, you can always whisk all the ingredients together at once, but I feel the beating makes these a bit fluffier and lighter). 4. Stir the wet honey mixture into the dry oat mixture and stir just until combined. 5. Spoon the muffins into a 12 space greased muffin tin. 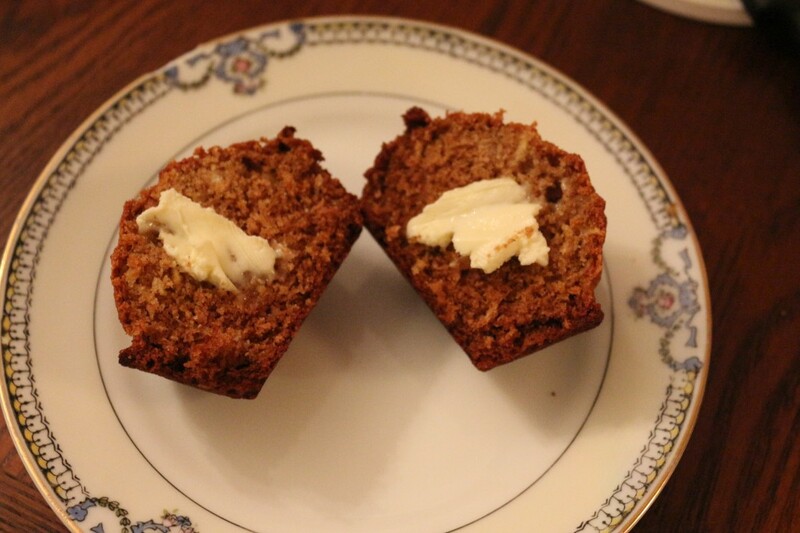 Bake for about 16 to 18 minutes, until the muffins are golden brown and clean when a toothpick is inserted. Remove from the oven, allow to cool five minutes in the pan, and then enjoy! This entry was posted in Breakfast, Sides, Snacks, Sweets. Bookmark the permalink.